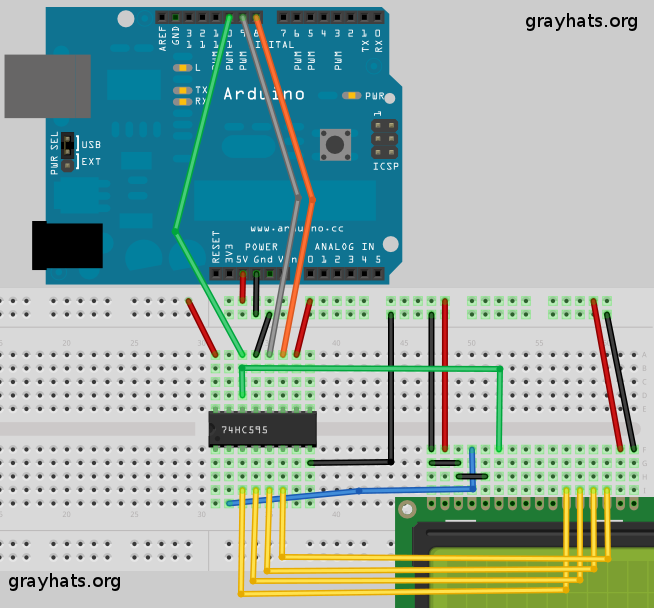 [Carlo Denaro] is sharing a smart solution to save digital pins while controlling an LCD, using Shift Register 74HC595. A simple yet useful project with skecth&libraries, datasheets and Fritzing schematics. Is it ok to use a 74LS595 IC rather than 74HC595 is it ok?